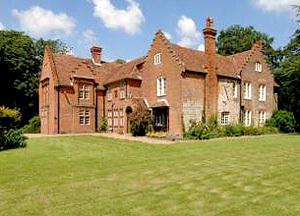 Thurnham Court is Grade II Listed, dating in part from the early 17th century. The house sits at the end of an impressive long drive and is surrounded by beautiful park-like grounds which have been laid out over a number of centuries with some outstanding examples of specimen trees. 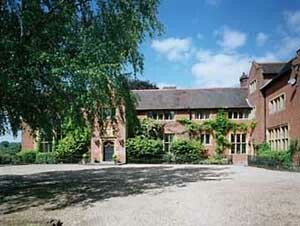 There is a swimming pool, tennis court, a walled garden and an all-weather manège. Adjacent to the manège is a stable yard and a lovely Victorian coach house/garage. Guide price: £3,000,000. For further information, please contact Strutt & Parker: 2 St. Margarets Street, Canterbury, Kent, CT1 2SL Tel: 08451 293638, Fax: 01227 762509 www.struttandparker.com. This impressive Grade II listed property sits in an elevated position surrounded by approximately 25 acres of gardens and pasture-land. Mainstone Court is situated between Ledbury and Hereford in a gloriously rural location looking out to Marcle Ridge and the Malvern Hills. The Court principally dates back to 1821, when it was built by the architect Robert Smirke for Captain Johnstone, though this was actually an addition to an earlier 17th century house which looked out on a moat known to be in existence in the 1200’s. Guide price: £2,250,000. For further information, please contact Knight Frank: Country Department, 20 Hanover Square, London, W1S 1HZ. Tel: 08451 293 684, Fax :020 7493 4114; www.knightfrank.co.uk. An exceptional country mansion with 14 bedrooms, Listed Grade II, with magnificent mature landscaped grounds, set in countryside designated an Area of Great Landscape Value, with commanding views over the Surrey Weald. Lodge Cottage, Garden Cottage and extensive Garaging. Beautifully landscaped gardens. In all about 10.81 acres. Guide price £4,000,000. For further information, please contact Jackson-Stops & Staff: 17c Curzon Street, London, W1J 5HU Tel: 08451 293734; www.jackson-stops.co.uk. Sir John Soane’s forgotten country house, Listed Grade II*. 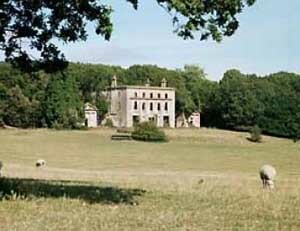 A neo-classical romantic ruin now in need of complete restoration. 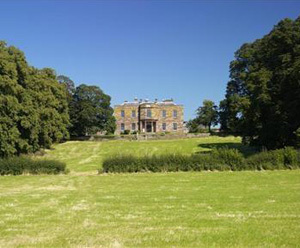 The house stands in about 129 acres of historic landscaped parkland Listed Grade I. Planning and Listed building consent has been granted for the restoration of the house, stable block and kitchen gardens together with their associated cottages. The freehold of the property is to be sold as a whole. Guide price: £,2,000,000. For further information, please contact Jackson-Stops & Staff: 17c Curzon Street, London, W1J 5HU; Tel:08451 293734; www.jackson-stops.co.uk. 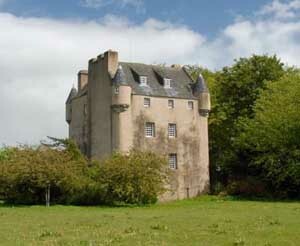 Tillycairn is a magnificent 16th Century, 5 storey tower house of stone construction. The castle was built in 1550 and was a derelict ruin for over 200 years until 1980, when it was carefully restored to retain the character and architectural integrity of the original. Tillycairn is set in the unspoilt Don Valley with views over productive farmland, mixed woodlands and to the heather slopes of Bennachie and Corrennie Hill. The grounds extend to about 4 acres. Guide price: £825,000. For further information, please contact Strutt & Parker: St. Nicholas House, 68 Station Road, Banchory, Scotland, AB31 5YJ; Tel: 08451 293 636, Fax: 01330 825577; www.struttandparker.co.uk.